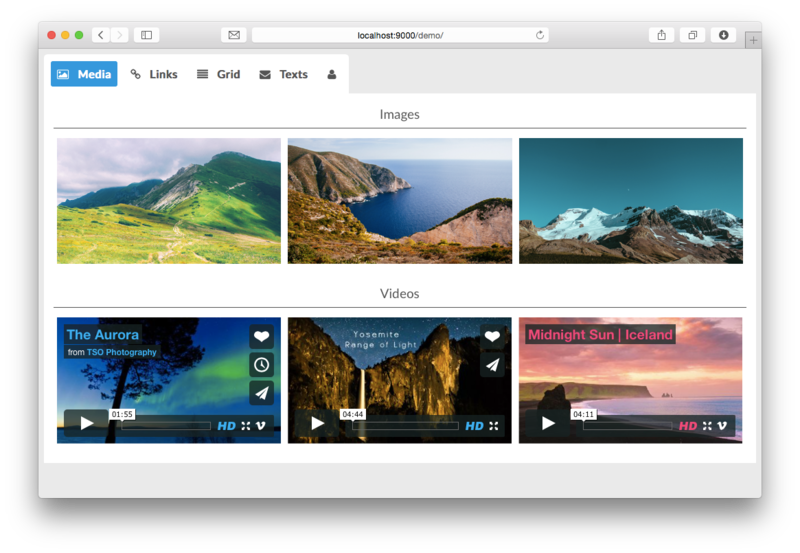 Zetta Tabs is pure CSS responsive tabs with 5 predefined themes and unlimited color schemes, 15 different switch effects. 15 different switch effects – slide, fade, scale and flip. Get tabs with your own color scheme, using color switcher. 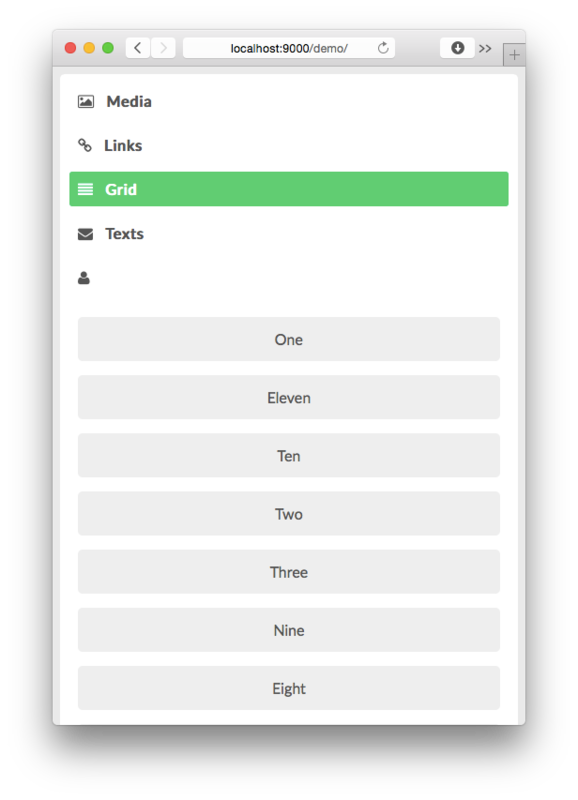 Use responsive grid system for your own content. 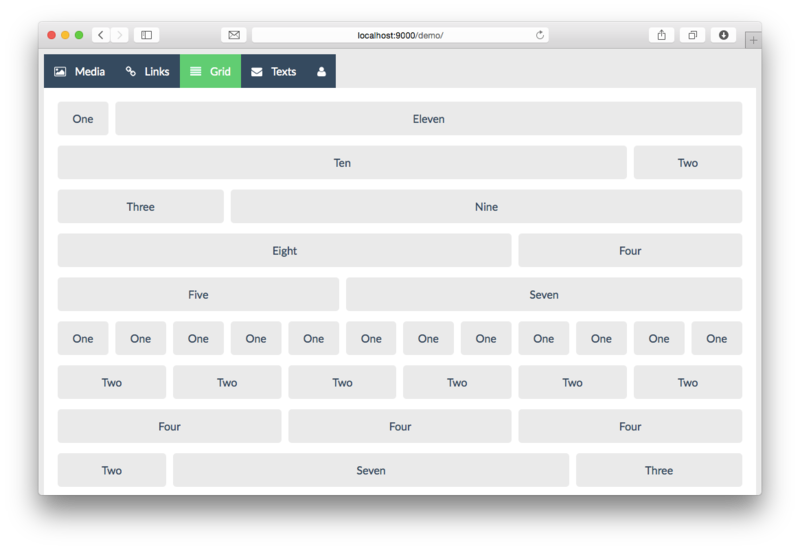 3 main tabs layouts – left, center and right. Use Font Awesome icon set for tabs labels or for content. Use documentation as starting point for your tabs. 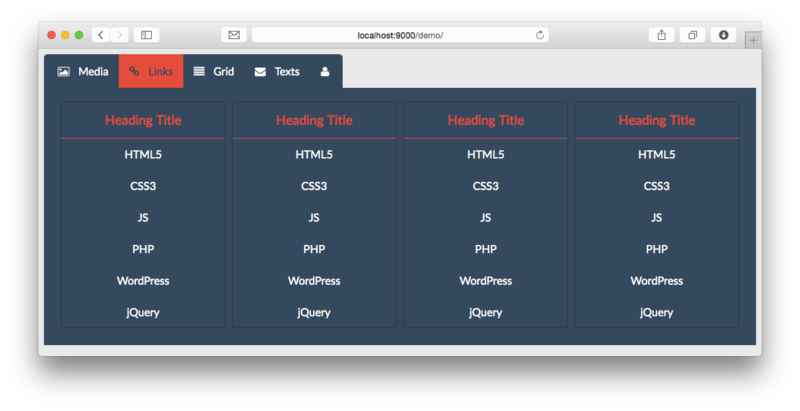 It has live tabs examples and code examples with descriptions. Once purchase get updates all the time!